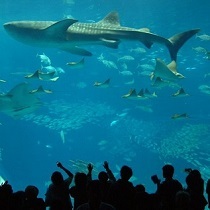 Take a relaxed yet content day excursion to Okinawa's essential Churaumi aquarium and Pineapple park offered at an all inclusive fee. Advance payment by credit card on our website is required. 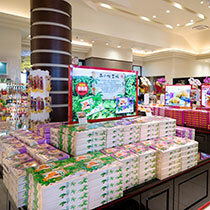 There is nothing easier than joining the tour to visit Okinawa's main attractions. *Admissions to each facility are free for children age of 4 and 5 years old. 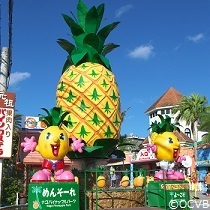 Bus tour, admission to Churaumi Aquarium, Butterfly Garden, Nago Pineapple Park and lunch. *Those who would like to ride on a cart at Pineapple park will have to pay by themselves. *Please be sure to be at your pick-up location at least 10 minutes prior. *Pick-up time may be earlier or later than the time listed according to local traffic. *A bus guide will guide the tour. *The order of drop-off locations is subject to change according to local traffic. 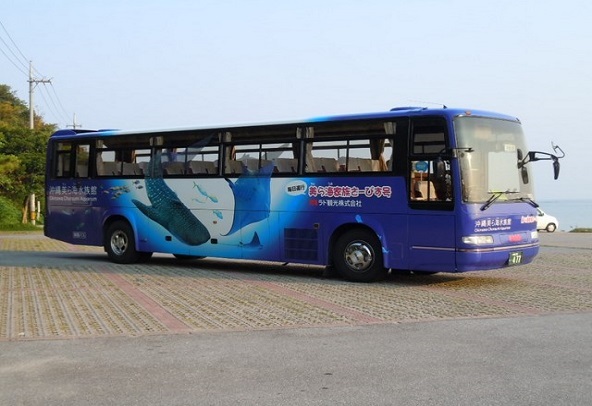 *Drop off location of Kariyushi urban resort hotel will be replaced with the closet city bus stop which is a few minute walk to the hotel. *Time may be earlier and later than the times listed according to local traffic. *Advance payment by credit card on our website is required. *Please make sure which pick up and drop off locations listed below are the most convenient for you and type them in the inquiry form when making a reservation. *Be sure to arrive at least 10 minutes prior. *The stops with no boarding or dropping-off will be past without stopping. *The order of stops is subject to change according to traffic. ★Available Hotels in Ginowan, Onna, Nago cities for pick-up and drop-off services.